Delta/BJDS goes where the work is. Regardless of the market—be it Industrial, Commercial, Institutional or Public Sector—you can be confident in knowing we’ve done a job like yours, and in most cases, many times over. With more than 25 years’ experience, a strong network of loyal specialty contracting experts, and word-of-mouth referrals that continue to expand exponentially, Delta/BJDS has the know-how and the breadth of hands-on expertise to make us the perfect match for your project. 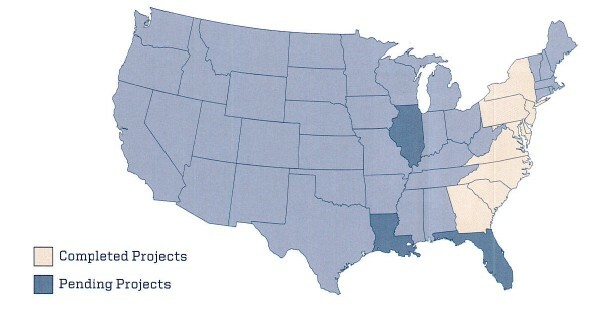 Serving customers along the Eastern seaboard as well as a growing contingent in the Mid-Atlantic region, Delta/BJDS has ties to just about every industry in the nation. The one thing they all have in common? The need for well-trained, knowledgeable contractors and a management team with the experience, technical know-how and commitment to planning and budgetary compliance that makes a seemingly daunting project a done deal.